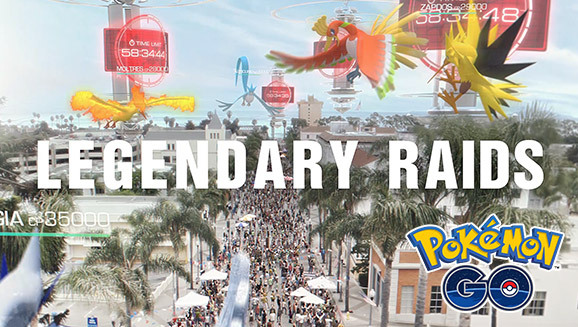 Legendary Pokémon will soon appear in Pokémon GO! Get your Poké Balls ready, Trainers—Legendary Pokémon are coming soon to Pokémon GO! If Trainers everywhere catch enough Pokémon during Pokémon GO Fest on July 22, the debut Legendary Pokémon will be unveiled! Then, Pokémon GO Fest attendees in Grant Park will be able to encounter this Legendary Pokémon in an epic Raid Battle. If they defeat it, the Pokémon will appear at Gyms across the globe beginning July 23. Mark your calendars for July 22 to start catching as many Pokémon as you can to help your team. The Trainers at Pokémon GO Fest will also be taking part in fun activities that will unlock other in-game rewards for the entire Pokémon GO community, too. If the first Legendary Pokémon is defeated in Chicago, it will then begin to appear in Legendary Eggs at Gyms around the world. If you and your team are able to defeat the Legendary Pokémon, each of you will then have the chance to catch it! Once caught, you can use the Pokémon like you would any other Pokémon, except Legendary Pokémon cannot be assigned to defend a Gym. Don’t hesitate to join a Raid Battle to catch this awesome Pokémon while you can! Legendaries will continue to appear throughout the year in Pokémon GO. So get up and go explore your world, train your Pokémon, and keep checking dorkaholics.com for details about the arrival of more Legendary Pokémon in Pokémon GO!